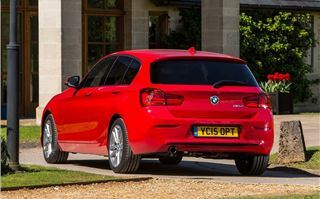 Mid-life refreshes rarely transform the look of a car – but the updated BMW 1 Series bucks the trend. The old model’s sad, droopy headlights have been replaced by a much slimmer and more purposeful design like those on the 3 Series, while the rear gets wider tail lights. It appears the ugly duckling turning into a swan. There are some big changes under the skin with new, more efficient diesel engines. 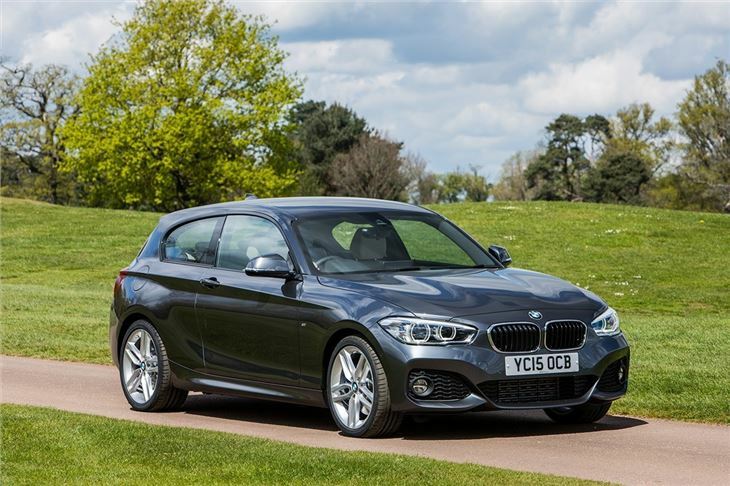 BMW has also decided to rename its 116i petrol to 118i, which in turn means the previous 118i has been rebranded as the 120i. It's all very confusing, but BMW thinks the new names better suit the level of performance on offer. It's the changes to the diesel engines that matter the most, though. 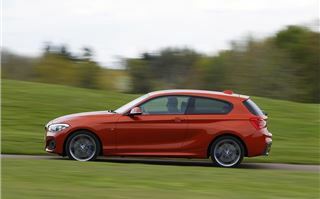 The new 116d is a three-cylinder producing a perfectly usable 116PS and 270Nm of torque. Emissions are impressively low at 94g/km, or 89g/km if you choose the ED Plus variant. That means official economy of up to 83.1mpg. Despite this it’s a perfectly competent motorway cruiser, with useful if not particularly blistering performance. 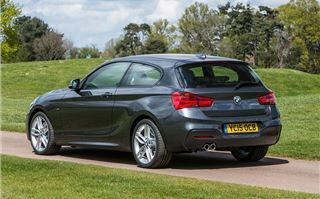 The new 118d is a better bet for many buyers. With 150PS and 330Nm of torque it makes light work of overtakes and gets from 0-62mph in an impressively swift 8.1 seconds, yet offers emissions of as low as 99g/km if you opt for an automatic transmission, with economy of up to 74.3mpg. It’s a quiet engine, only emitting typical diesel clatter when pushed hard – but since peak torque is available from 1750rpm there is no need to thrash it to make good progress. 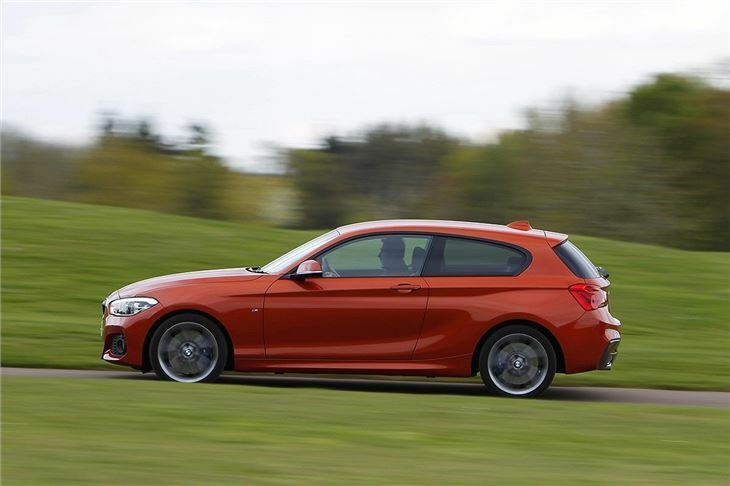 Overtaking and acceleration is effortless, particularly with the smooth eight-speed automatic transmission, though the manual is pleasingly slick to operate. If you can get the automatic it is worth it. It links up to the now standard-fit navigation to pre-emptively select gears based on corners and hills ahead. For example, it will change down a gear at the bottom of a hill before the climb, so you don’t need to push the accelerator harder. It is subtle, but makes driving smoother and easier. 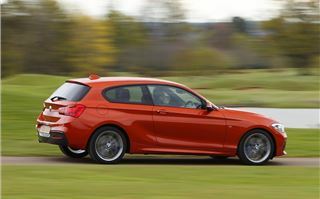 And driving the 1 Series is thoroughly enjoyable. The well-judged suspension treads the line between comfort and dynamism very well – pot holes and bumps are dealt with easily, yet body control through corners is excellent. There is plenty of grip on offer and good feedback through the well-weighted steering, plus a great sense of balance and poise thanks partly to the rear-wheel drive layout. For an enthusiastic driver it’s ideal – but if you’re really keen a more powerful engine might suit your tastes better. 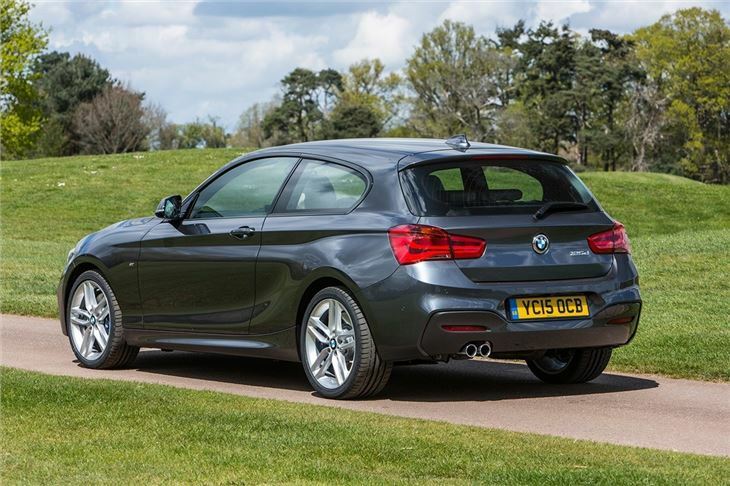 The same engine that powers the 118d is also available with higher power outputs – 190PS in the 120d and 224PS in the 125d. 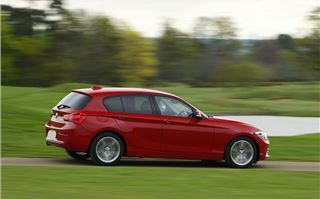 There are also the previously mentioned 118i and 120i petrols, plus a 218PS 125i and the mighty 326PS M135i, as with the outgoing car. The neat cabin layout features BMW’s iDrive, complete with navigation, as standard. The intuitive controller is very easy to get used to, so selecting radio stations, checking vehicle status info or programming a destination takes no time at all. Material quality is top notch too and the rotary iDrive controller takes up very little room, meaning a neat uncluttered layout. As before there are three and five-door models on offer. Practicality is fine, though the boot isn’t quite as usefully shaped as that of an Audi A3, with a narrower load space. Thankfully the seats are easy to fold, liberating up to 1200 litres of space for bulky items. Rear-seat passengers should be fairly comfortable and there are two Isofix mounts for child seats. 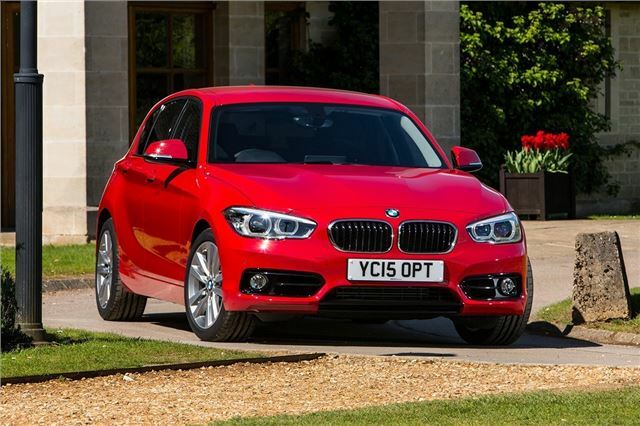 The equipment grades have been simplified, with SE, Sport and M Sport to choose from. Keyless ignition, climate control, navigation, DAB and Bluetooth are standard on SE, while Sport and M Sport gain largely cosmetic updates. That leaves a lot on the options list, so it is quite easy to crank up the price if you want gadgets like automatic parking or lane departure warning. 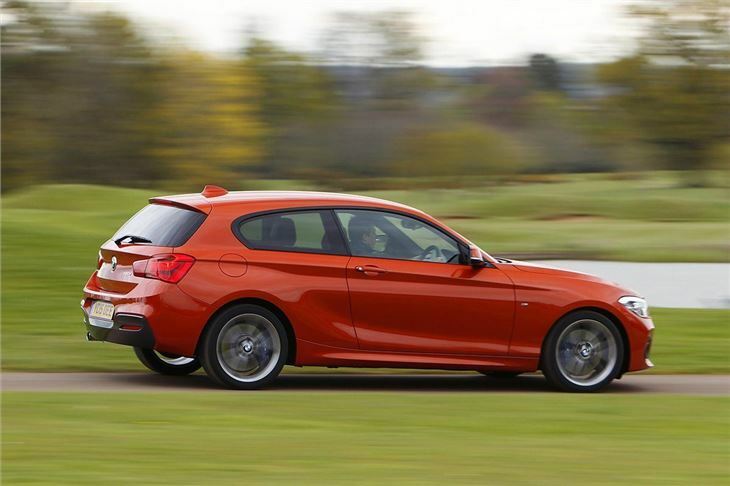 Nonetheless the updated 1 Series has plenty of appeal. 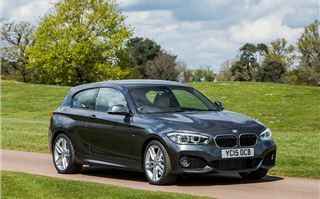 It is as good to drive as the bigger BMWs, plus it looks the part now thanks to its updated styling. 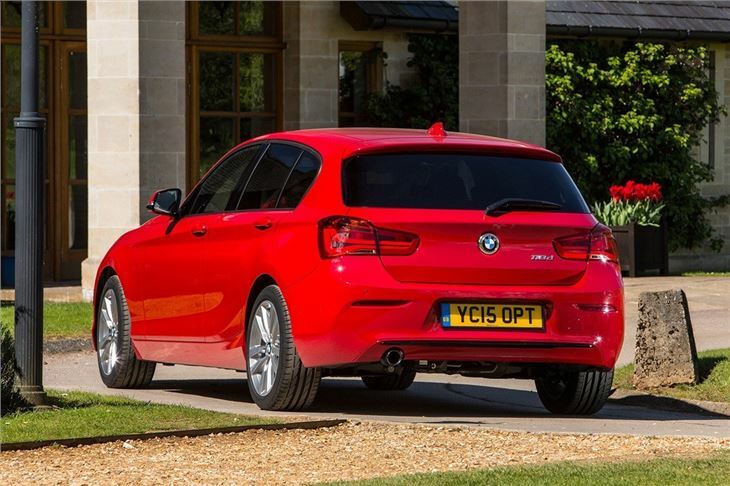 Factor in the impressive performance and low running costs of the diesel engines and there’s plenty of reason to choose BMW’s entry-level model, whether as a private buyer or a company car driver.